You'll experience a thrill behind the wheel of a Chrysler. 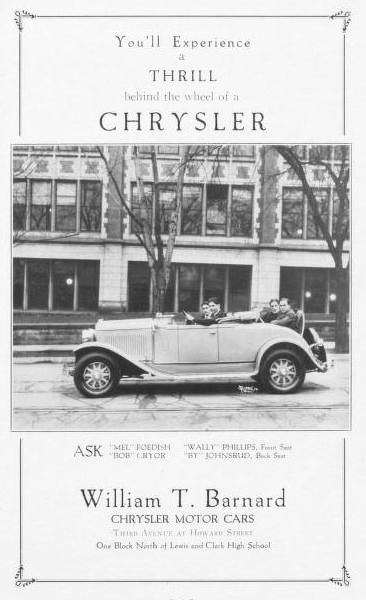 Chrysler Motor Cars. One block north of Lewis & Clark High School.